Bill Chittenden, a founding member of Chittenden, Murday & Novotny LLC, is a trial lawyer whose briefcase is, let’s just say “well-worn” from his more than thirty-five years of business and class action litigation, trial, and appellate experience. In addition to his litigation practice, which extends to state and federal courts throughout the country, he counsels the Firm’s financial services clients in regulatory matters with state and federal government authorities. Bill’s expertise is widely recognized having been elected to the Society of Trial Lawyers, awarded an AV Preeminent Rating and regularly named a Leading Lawyer and SuperLawyer in Illinois. Admitted to Practice in: State of Illinois; United States Supreme Court; United States Circuit Court of Appeals for the Seventh Circuit; United States District Court for the Northern, Central and Southern Districts of Illinois; United States District Court for the Northern and Southern Districts of Indiana, United States District Court for the Eastern and Western Districts of Wisconsin; United States District Court for the Western District of Michigan. Through his extensive representation of clients in the financial services, life/health/disability insurance, reinsurance, managed healthcare and manufacturing industries, Bill has recognized expertise in a broad range of substantive areas of law affecting these industries and a deep knowledge of the regulatory environments in which they operate. In addition to his significant experience handling complex business litigation and class actions on a nationwide basis, Bill has served as lead counsel in trials and arbitrations involving securities fraud claims, market conduct litigation, complicated pension, annuity and ERISA litigation; managed healthcare litigation, insurance tax litigation, fraud and RICO suits, life, health and disability claims, franchise disputes, real estate litigation, business torts, and a variety of other general commercial and business litigation matters. Mr. Chittenden also counsels the Firm’s clients on a wide range of regulatory issues affecting the life, health and disability insurance and reinsurance industry. This aspect of his practice includes assisting clients in obtaining regulatory approvals and managing market conduct examinations as well as representing clients in adversarial regulatory proceedings with state and federal insurance regulators. Bill has also served as lead counsel in a variety of employment litigation matters. In addition to handling various matters before state Departments of Human Rights and the Equal Employment Opportunity Commission, Bill has defended many of the firm’s clients in the state and federal courts against Title VII claims, Age Discrimination in Employment Act claims and Americans with Disability Act claims. He has also successfully defended claims for breach of employment contract, wrongful discharge and retaliatory discharge. 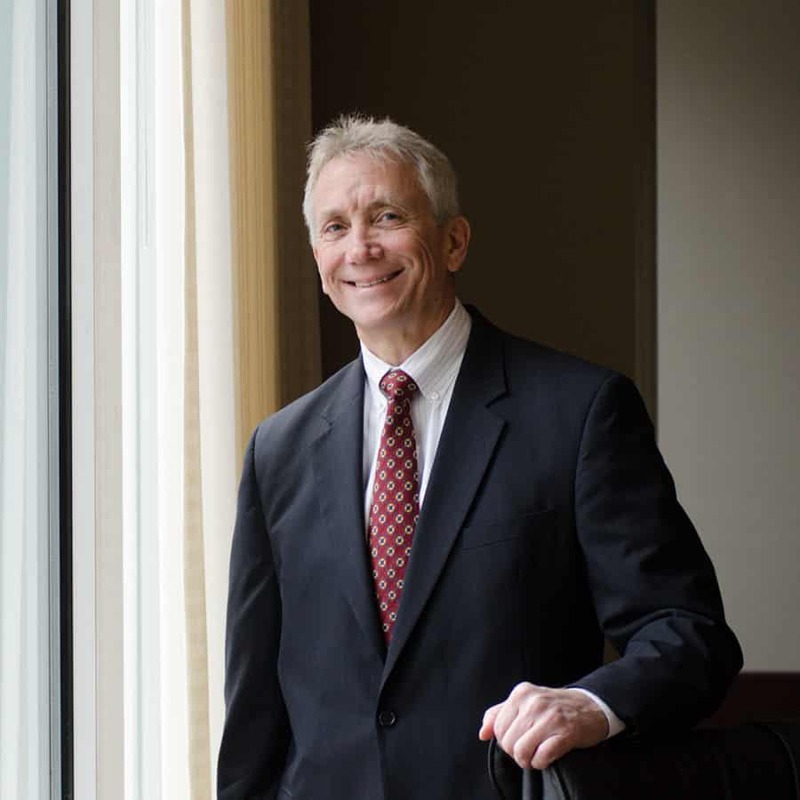 In his practice, Bill has argued numerous appeals before the Illinois Appellate Courts, the Illinois Supreme Court and the United States Court of Appeals for the Seventh Circuit, among others. He has also represented Firm clients in petitions for writs of certiorari to the United States Supreme Court and has been called upon to prepare amicus briefs on behalf of industry organizations in support of petitions to the Supreme Court. Mr. Chittenden has published numerous articles in law reviews and other professional journals and spoken widely on a range of legal topics important to the Firm’s clients. W.A. Chittenden III, E. Doolin, J. Wall, J. Jeffery, V. Terrizzi, Recent Developments in Health Insurance, Life Insurance and Disability Insurance Case Law, 52 Tort Trial & Ins. L.J. 431 (2017). W.A. Chittenden, III, J. Jeffery, J. Stegmaier, New Appleman on Insurance Law Library Edition, Chp. 93A Long-Term Care Insurance (2017). W.A. Chittenden III, E. Doolin, J. Wall, J. Jeffery, Recent Developments in Health Insurance, Life Insurance and Disability Insurance Case Law, 51 Tort Trial & Ins. L.J. 473 (2016). W.A. Chittenden III, E. Doolin, J. Wall, J. Jeffery, Recent Developments in Health Insurance, Life Insurance and Disability Insurance Case Law, 50 Tort Trial & Ins. L.J. 401 (2015). W.A. Chittenden III, E. Doolin, J. Wall, J. Jeffery, Recent Developments in Health Insurance, Life Insurance and Disability Insurance Case Law, 49 Tort Trial & Ins. L.J. 233 (2013). W.A. Chittenden III, E. Doolin, Recent Developments in Health Insurance, Life Insurance and Disability Insurance Law, 47 Tort Trial & Ins. L.J. 261 (2012). Wal-Mart and Beyond: Recent Legal Developments Important to the Financial Services Industry, presented at 2011 Transamerica Lawyer’s Conference, Baltimore, MD, September 20, 2011. W.A. Chittenden III, J. Hasman and E. Doolin, Recent Developments in Health Insurance, Life Insurance and Disability Insurance Law, 45-2 Tort Trial & Ins. L.J. 403 (2011). W.A. Chittenden III, E. Doolin, Recent Developments in Health Insurance, Life Insurance and Disability Insurance Law, 45-2 Tort Trial & Ins. L.J. 397 (2010). Complications in Beneficiary Determinations – Show Me The Money!, presented at 2004 Midwest Claims Conference, Oak Brook, Illinois, May, 2004. W. A. Chittenden III, J. Hasman and E. Doolin, Recent Developments in Health Insurance, Life Insurance and Disability Insurance Law, 38 Tort & Ins. Practice L.J. 405 (2003). W. A. Chittenden III, J. Hasman and E. Doolin, Recent Developments in Health Insurance, Life Insurance and Disability Insurance Law, 37 Tort & Ins. L.J. 471 (2002). W. A. Chittenden III and J. Hasman, Recent Developments in Health Insurance, Life Insurance and Disability Insurance Law, 36 Tort & Ins. L.J. 359 (2001). W. A. Chittenden III and J. Hasman, Recent Developments in Health Insurance, Life Insurance and Disability Insurance Law, 35 Tort & Ins. L.J. 369 (2000). W. A. Chittenden III and S. R. Dandelles, Alternative Dispute Resolution: An Alternative To Litigation, International Legal Strategy, Vol. VIII-8, 51 (August, 1999). W. A. Chittenden III and J. Hasman, Recent Developments in Health Insurance and Life Insurance Law, 34 Tort & Ins. L.J. 443 (1999). W. A. Chittenden III and J. Hasman, Recent Developments in Health Insurance and Life Insurance Law, 33 Tort & Ins. L.J. 489 (1998). The Impact of Title III of the ADA on Insurance Underwriting, presented at Chicago Home Office Life and Health Underwriters Association (CHOLUA) Annual Meeting, Schaumburg, Illinois, March 9, 2000. Suit Happens: Elements of the Litigation Process, presented at AEGON, USA, Inc. Management Conference, Tampa, Florida, January 26, 2000. What’s New? Recent Life, Health & Disability Cases, presented at Defense Research Institute – Life, Health & Disability/ERISA Litigation Conference, Chicago, Illinois, September 24-25, 1998. Pitfalls in Class Action Litigation, presented at AEGON USA, Inc. Lawyers Conference, Baltimore, Maryland, May 8, 1998. Liabilities of Managed Care Organizations, presented at the BCS Professional Liability Conference, Phoenix, Arizona, 1992. Malpractice Liability and Managed Health Care: Litigation Update, Presented at the Annual Meeting of the American Bar Association, Chicago, Illinois, 1990.